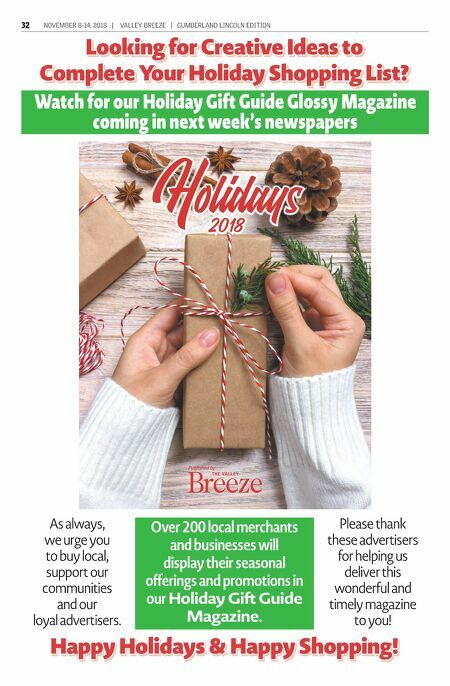 32 NOVEMBER 8-14, 2018 | VALLEY BREEZE | CUMBERLAND LINCOLN EDITION Holidays Holidays olidays Holidays Holidays olidays 2018 Published by lid Looking for Creative Ideas to Complete Your Holiday Shopping List? Looking for Creative Ideas to Complete Your Holiday Shopping List? Happy Holidays & Happy Shopping! Happy Holidays & Happy Shopping! As always, we urge you to buy local, support our communities and our loyal advertisers. Please thank these advertisers for helping us deliver this wonderful and timely magazine to you! 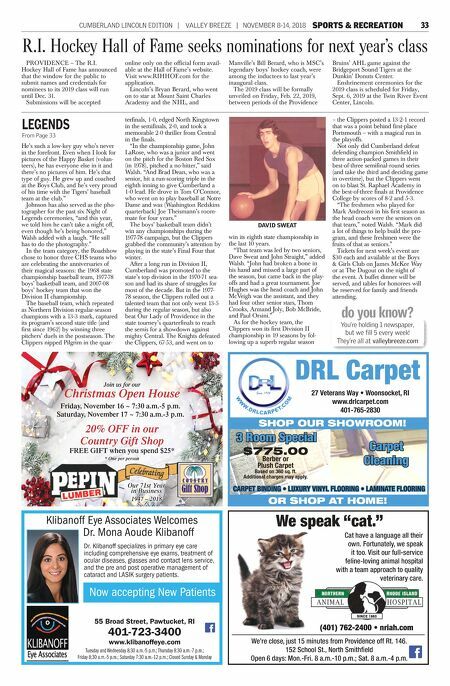 Watch for our Holiday Gift Guide Glossy Magazine coming in next week's newspapers Over 200 local merchants and businesses will display their seasonal offerings and promotions in our Holiday Gi Guide Magazine.